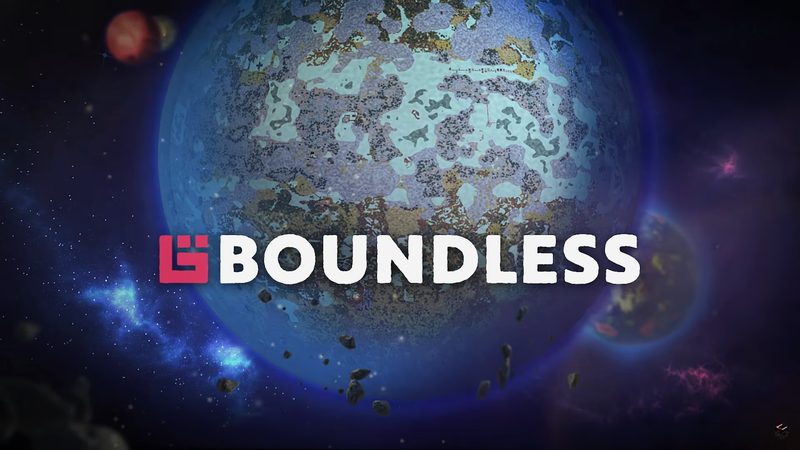 Coming to us from Wonderstruck and the Square Enix Collective is Boundless, a new MMO in an open-world-sandbox that will let you choose your own path. The best part? It now has a release date and a new trailer! Create, Explore, Influence: one universe, all the players. London, UK (24th July, 2018) – Square Enix Collective® is proud to announce that the forthcoming epic sandbox MMO Boundless from UK studio Wonderstruck will launch on 11 September, for PC and PlayStation 4®. Offering gamers a single universe of connected worlds in which every element - the politics, the economy, the crafting and the communities - is entirely created and run by the players, Boundless ensures everyone is exploring, building, crafting, trading and collaborating within one single ecosystem. "Throughout its Early Access run, we've watched players flourish within Boundless' evolving universe," says James Austin, Director of Wonderstruck. "Now, with our full launch in September, we're excited to see where they take the full game - especially given that PC and PS4 gamers will all be operating within the same space, crafting and creating with each other within the same worlds." One of the big draws of Boundless is the ability to open portals to travel seamlessly between diverse planets as you expand your adventure across the universe; or watch the sun rise on a volcanic world before joining friends to prospect for precious resources on a desert planet. Starting with your first humble campfire, will you live a nomadic life in the wild, or found a new settlement with your allies from which to grow your empire? You can rally citizens to expand your city, competing to become the capital of your world and claiming the title of Viceroy. Will you build a citadel, drive the economy, or craft masterpieces of technology? Join the hunt for exotic creatures, develop your homestead, or seek new horizons? Everything in the game is created by players - so if you want something, you'll either need to craft it yourself, or trade with others. As announced back in June, Square Enix Collective has signed on to publish the PC version of Boundless, with developer Wonderstruck in tandem handling the game's release on PS4. "For a game like Boundless, which relies on the community to create a constantly evolving universe, allowing every player, in every region, on every platform, to play together was always vital," says Phil Elliott, Director of Indie Publishing at Square Enix West. "Because one of the really important, unique aspects of Boundless is that - whichever path you choose within the game, and whichever role you play - you do it in a single, unsharded universe in full view of the entire player-base. Which means that your actions have real meaning." Boundless can be broken down into six main areas at launch - exploration, building, crafting, hunting, trading, and settlement-building - with players able to choose their place in a massive, open-universe sandbox. With the expanse of worlds around them constantly shifting and changing, players are encouraged to shape their role and play their part in a universe where anything is possible.